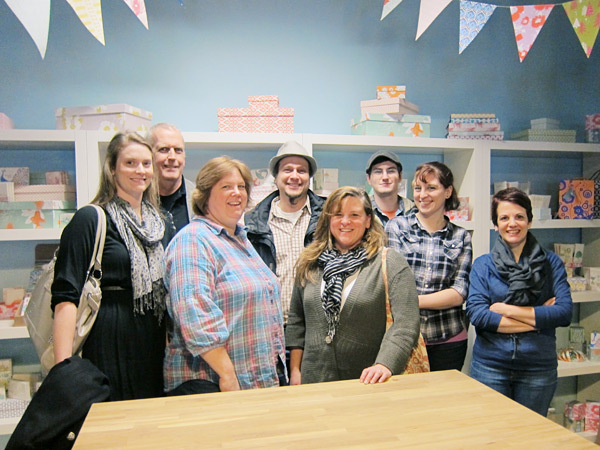 We love when the people we get to work with come to our shop for a visit! 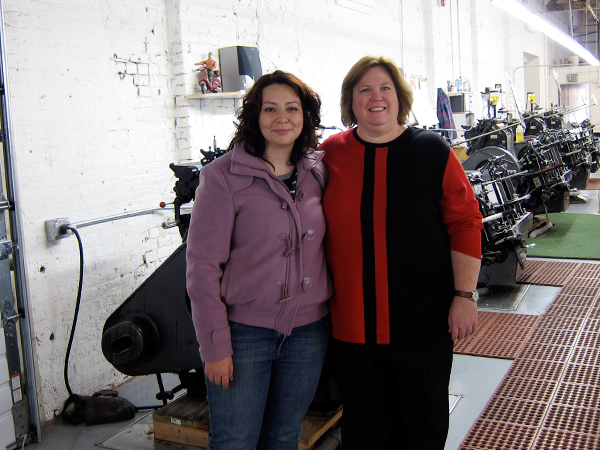 Annie came all the way from Monterrey, Mexico to tour the Boxcar Press studio, and we were thrilled to have the opportunity to show her around the shop (and the city of Syracuse) a few weeks back. Annie works with us for photopolymer plates, and we’re amazed by the printing she’s been doing lately. Click here to visit Filomena Press on Facebook to check out some of Annie’s work! 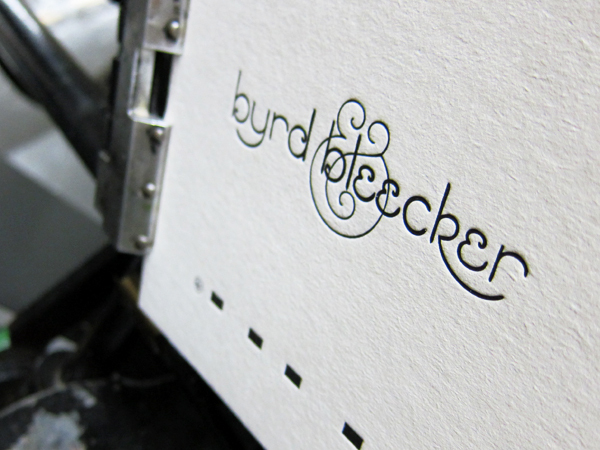 Today we had the pleasure of welcoming Byrd & Bleecker to our very own printshop! They were treated to a premium tour by Cathy and surprise gift coasters to be letterpress printed and diecut right before their eyes. 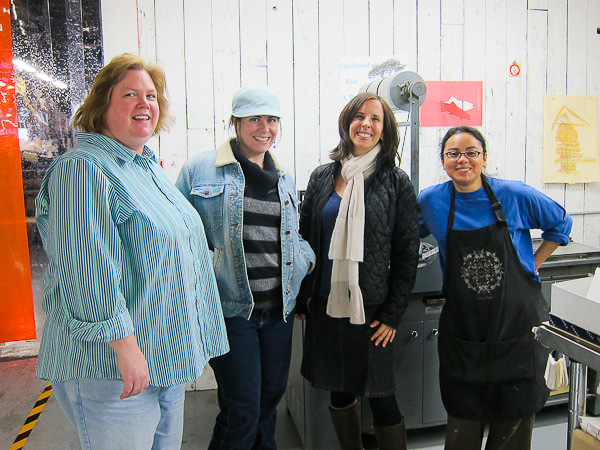 We all share the letterpress love! 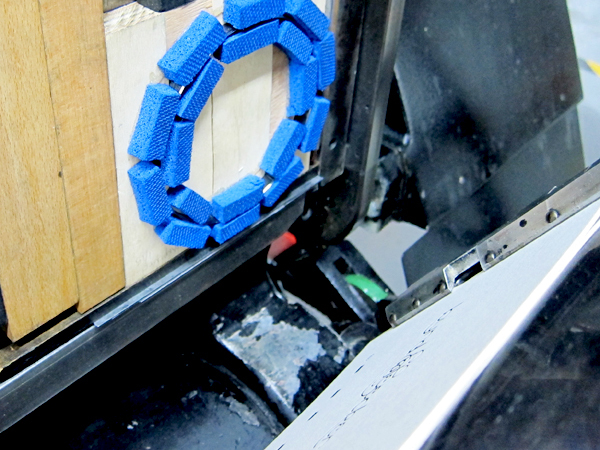 Here is a picture of the die about to make contact with the printed sheet and deliver the piece cut out. What a fun time showing these fine folks around. by Carrie Valenzuela, letterpress printer. 2:11 p.m.